Niki Frencken joins JiC for this thoughtful post on deterrence in the wake of the Lubanga verdict. Niki is a freelance researcher, documentary maker and writer who has focused much of her work on conflict resolution and transitional justice in East Africa. March 14th 2012 marked a historic day for the International Criminal Court. Thomas Lubanga is no longer suspected of recruiting and using child soldiers, but convicted of the crime. The ICC’s first verdict has been met with both excitement and criticism. Safe to say that it raises many questions, one of which concerns the deterrence effect of the Court and the Lubanga case. Anecdotal evidence abounds that the Lubanga case has generated a fear of arrest amongst Congolese militia leaders. This fear has been dubbed the ‘Lubanga syndrome’. Yet, the question remains whether the ICC and the Lubanga case can contribute to deterrence and whether the ‘Lubanga syndrome’ truly exists. Within a widely varied palette of peace-building instruments, the threat of international prosecution is increasingly considered as a means to pressure leaders to put an end to hostilities, as was seen in Libya and Côte d’Ivoire. Inherent to this faith that the ICC can contribute to peace and security is the belief in the deterrent effect of (the threat of) international prosecution. This is underlined by the preambles of the Rome Statute: ‘[d]etermined to put an end to impunity for the perpetrators of these crimes and thus to contribute to the prevention of such crimes’ and contribute to peace, security and the well-being of the world. Due to the material jurisdiction of the Court and its permanent nature, prosecutorial interventions often take place in a context of ongoing (non-)international armed conflict. On top of the already disputed nature of deterrence at the national level, these volatile contexts add an extra dimension to the relation between ICC prosecution and its contribution to deterring leaders from committing crimes. These politically unstable situations are inherently complex, making it difficult for the Court’s prosecutions to deter individuals from committing crimes. Essentially, deterrence is aimed at preventing crimes based on the fear of the consequences of engaging in criminal behaviour. According to deterrence theory, individuals will refrain from engaging in criminal action if the likelihood of the materialisation of the costs outweighs the expected benefits of crime. Whilst leaders plausibly engage in rational calculations, the dynamics of violent conflict and immediate needs of warfare make it unlikely that the remote costs of prosecution penetrate or override strategic military and political decisions that lead to crime. There are, however, a number of factors that affect this cost-benefit calculation, amongst which are the certainty of apprehension, knowledge of consistent rule enforcement, different approaches to justice and the legitimacy of the Court. Despite the legal provisions subjecting both party and non-party states to cooperation obligations, the Court suffers from significant cooperation and enforcement problems. The ICC does not have a police or military force and thus operates without an enforcement body. This makes the Court highly dependent on state cooperation to execute arrest warrants, provide access to evidence, enable the relocation of witnesses, and ensure the enforcement of sentences. The problem of cooperation therefore effectively comes down to the Court’s dependence on states that – for whatever reason – are, broadly speaking, either unwilling to cooperate or states that are unable to cooperate (or possibly both). Illustrative are the 11 suspects that still remain at large today. One such suspect is Bosco Ntaganda. 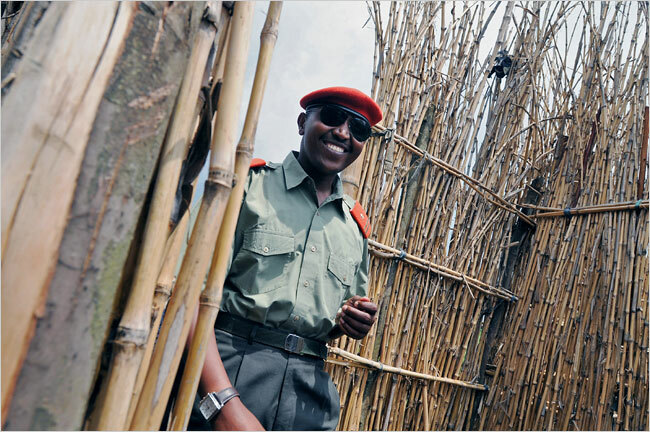 Despite an outstanding arrest warrant, Ntaganda has been appointed a Deputy Commander in the Congolese army. He is well within the reach of the Congolese authorities to be transferred to The Hague, but the Prosecutor’s requests have remained unenforced, the reason being that Ntaganda is considered instrumental to the DRC in its fight against the Forces Démocratiques de Libération du Rwanda (FDLR). At the time of writing, his political usefulness therefore still functions as a shield, protecting him from prosecution. The political dynamics hampering the execution of Ntaganda’s arrest warrant instills Congolese military and militia leaders with confidence that they will be able to negotiate or buy their way around prosecution. It is not so much The Hague that matters, but rather Kinshasa. The political peculiarities of Congolese politics thus negatively influence the certainty of arrest and by extension undermine the ICC’s contribution to deterrence. So far, the Court’s apprehension record also provides Heads of State with little reason for concern provided they maintain the right political allegiances or allies. The example of Sudanese President Omar al Bashir comes to mind. Thus, the ICC’s dependence on state cooperation significantly challenges the certainty that the accused will be apprehended and brought before the ICC, and thereby weakens the deterrent potential of ICC prosecutions. Knowledge of consistent rule enforcement or rather, the existence of a lack of impunity as it is termed in the international legal discourse, is theorized to deter individuals since it is thought that an individual will be less likely to engage in a crime if he knows that someone else has been punished for similar conduct. There are, however, practical constraints that challenge the consistency of rule enforcement by the ICC: it has limited (financial) resources and can only preside over a limited caseload. In the absence of a well-functioning or cooperative national state apparatus, this leaves ample opportunities for other leaders to act as they wish. In the DRC, it is said that a degree of fear of arrest circulates amongst military and militia leaders. Nevertheless, the political machinations preventing the arrest of Ntaganda have sent a message to these leaders that arrest warrants are negotiable. Hence, the marginal chances of being indicted and arrested, as well as the political room to negotiate with Kinshasa, prevents this fear from crystallizing as a reduction of criminal behavior. Research by criminologist John Braithwaite has shown that informal sanctions, such as shaming, have a stronger effect on preventing deviant behaviour than their formal counterparts. Instead of the threat of formal sanctions by a geographically remote and, at times, culturally foreign international institution, such as the ICC, law conforming behaviour is apparently enhanced more strongly by individuals’ perceptions of others. This idea of criminality as a social construct is that crime is not so much an individual’s undertaking as it is embedded in his/her community. Influencing an individual’s behaviour may thus be more effective when done in a manner and by an entity that is meaningful, or at least acceptable, to the individual and his/her community. In this line of reasoning, in certain societies, informal approaches to justice may be more effective than formal processes (such as those taken by the ICC) whose legitimacy is based on international laws and accountability procedures rather than local/traditional laws, norms, and accountability procedures. Legitimacy is a crucial element for prosecution to act as a crime deterrent. It is dependent upon the extent to which the Court is perceived to be impartial. The Prosecutor has claimed impartiality on many occasions. Yet, it is exactly this claim that is heavily criticised partly due to the selectivity of cases, the OTP’s intertwinement with politics, and, as a result, its perceived bias which all negatively affect its impartiality. Seeing that the credibility of the ICC’s threat of prosecution is partially dependent on the Congolese authorities to give effect to the threat, this factor suffers from the same problems as encountered by the certainty of apprehension and knowledge of consistent rule enforcement. Despite efforts to professionalise and reform the army, the FARDC is one of the most notorious violators of international law in Congo. 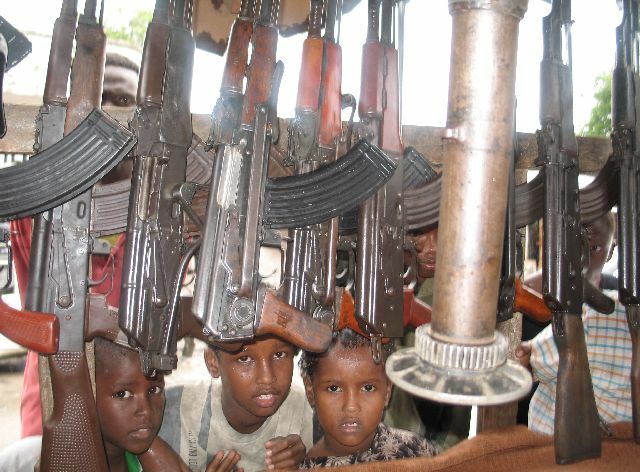 Amongst these violations is the use of child soldiers. Between October 2008 and December 2009, the FARDC was documented to be responsible for recruiting 42% of the 1,593 children, yet no army official has yet stood trial for these transgressions. It is thus not surprising that the Court’s legitimacy is challenged in the Congolese context. 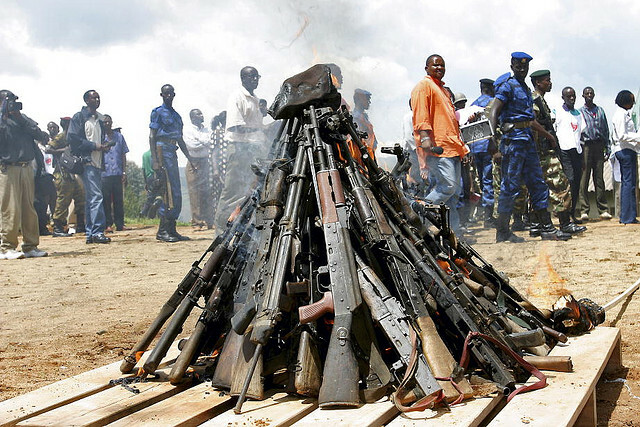 Reportedly, the Lubanga syndrome has induced Congolese militia leaders to release child soldiers from their ranks and into Disarmament Demobilisation and Reintegration (DDR) programmes. Based on this, claims have been made that the Court has positively influenced militia behaviour on the ground. However, other leaders have been reported to have instructed their ‘kadogos’ (a KiSwhahili term used to refer to children in armed groups) to lie about their age upon arrival at child protection centres or hide when child protection workers were present. Messages also circulate that children were simply left behind by commanders joining the brassage process (brassage refers to the process of (re)training combatants as well as integrating former belligerents into the Congolese national army). 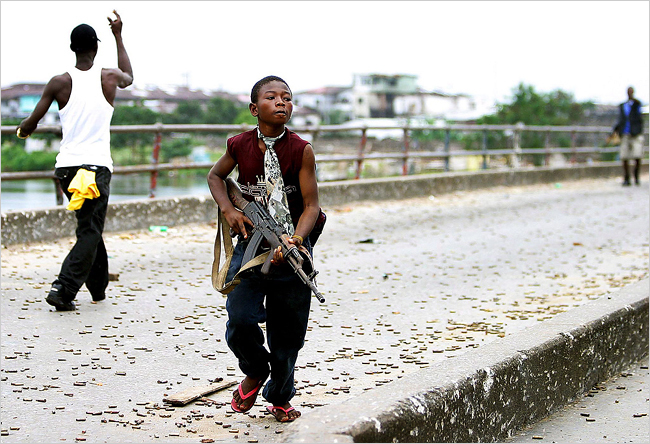 Though this may, at least, indicate an increase in awareness of the illegality of the recruitment and use of child soldiers, it does not yet prove the existence of a deterrent effect. In fact, experts proclaim that the Lubanga trial has only had a marginal impact on child soldier recruitment in eastern DRC since it is still a widespread practice. The DRC presents a highly complex context where conscripting, enlisting and using child soldiers can be a beneficial tool for militia groups to strengthen their military capabilities and thereby secure control over the mines. According to experts, the ‘Lubanga syndrome’ is still an anecdotal phenomenon void of structural corresponding behaviour and should therefore be treated with caution as reliable evidence of a deterrent effect of the Lubanga trial. In conclusion, there are many complicating factors that characterise the Court’s operative environment and significantly weaken its contributory role to deterring (future) perpetrators of ICC crimes. Unless the Court finds a way to deal with the complicating factors and complexities and politics of violent conflict, the achievement of deterrence will remain marginal at best and unlikely in the future. Since the Court is a permanent institution, it is important to start evaluating its workings, for ultimately the ‘successes’ or effects of ‘justice’ must be evaluated by their impact on the ground, not by mere faith in international criminal justice. This entry was posted in Democratic Republic of Congo, Deterrence, ICC Prosecutor, International Criminal Court (ICC) and tagged Ituri region, Lubanga, Ntaganda. Bookmark the permalink.